If you’re going to launch an Italian sandwich, it’s probably best to have Nonna’s approval. 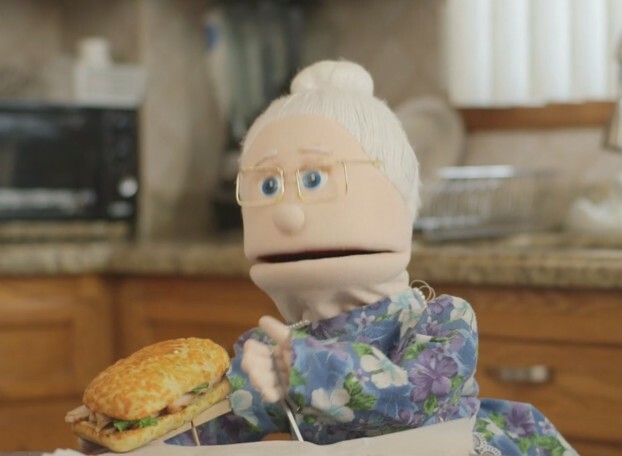 To help launch a new menu item – the chicken bruschetta sandwich – DQ Canada tapped the family behind web series “Nonna Maria and Friends” for some authentic Italian help. The series out of Montreal features “Nonna Maria” and her husband (both played by over-the-top puppets), as well as their family, poking fun at life in an Italian immigrant home. The team behind the show has created four original videos around Nonna Maria’s experience with the new DQ sandwich (including being slightly horrified that it doesn’t come from a more traditional Italian shop). The series is being supported on Facebook, Twitter and Instagram (both paid and organic) on the DQ and “Nonna Maria” channels. The videos are part of an integrated national campaign (which includes traditional TV spots), supporting the sandwich launch (part of the DQ Bakes products launched last year) and focusing on positioning it as an authentic Italian sandwich. The brand’s PR partner, Media Profile, brought up the opportunity to work with the “Nonna Maria” series. DQ also worked with MediaCom Canada on media and Publicis on the social media strategy.